Information Articles - Brand Registration Info - Ownership Identification Inc. When one registers a brand (or renews it) please ensure that it is registered in the manner that you wish. The Livestock Identification Act states that “a brand on livestock is evidence that the registered owner of the brand is the owner of the livestock”. Thus the brand must be registered in the name of the owner of the livestock. If there are multiple owners of the livestock, then all their names must appear on the brand registration. The words “or” or “and/or” are not allowed and will be changed to only “and”. All named persons listed on a brand registration are owners of the brand and must be listed as the owner on the Livestock Manifest when moving livestock. The most common problem encountered by the Livestock Inspectors when livestock are presented for inspection is that the owner is listed incorrectly. If the owner listed is different than on the brand registration, then a properly completed Bill of Sale must be presented to verify the change in ownership. Likewise if livestock are carrying a second brand, paperwork must be available to verify the ownership of the livestock. When there is a question on ownership, the inspector has the authority to detain the livestock/money until the correct ownership is determined. The contributor is responsible for ensuring that the brands on livestock are plainly visible and readable at the time of inspection. This may mean clipping them prior to presenting them for inspection. As well, a correctly completed manifest along with an appropriate bill of sale for livestock carrying a brand other than the owners must be presented to the inspector. There are certain policies in place with regards to the registration of brands. Some of the current brands do not meet these policy guidelines so if they are not kept active will not be reissued. 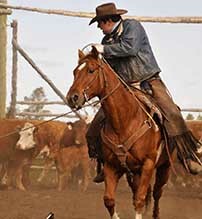 There are also stipulations with regards to the minimum size that a branding iron may be – calves less than 3 months not less than 2” with a 1 “ space between characters; calves over 3 months and older cattle not less than 3” with a 1” space between characters; horses not less than 2” in height and 1.5” wide. If correct iron sizes are used then there is less chance of a poor brand. 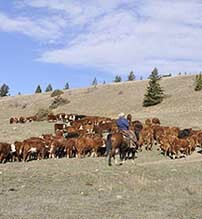 Further information about the Livestock Inspection program in British Columbia is available on the Ownership Identification Inc. web site at www.ownership-id.com.